Claudio Paschoa - Brazil parts hotel accommodation/entertainment and maritime technological evolution. 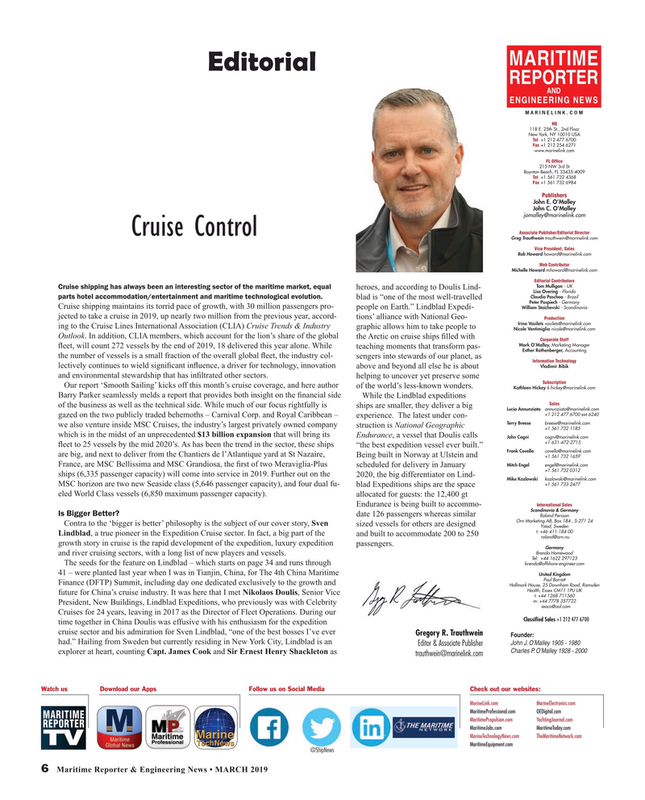 Our report ‘Smooth Sailing’ kicks off this month’s cruise coverage, and here author of the world’s less-known wonders. Lindblad, a true pioneer in the Expedition Cruise sector. In fact, a big part of the and built to accommodate 200 to 250 roland@orn.nu growth story in cruise is the rapid development of the expedition, luxury expedition passengers. Brenda Homewood and river cruising sectors, with a long list of new players and vessels.